"It was like a case of mistaken identity." I arrived in the US when I was 3 and found out I was undocumented as a young adult. I now have DACA, giving me work authorization, but my whole world has been rocked since that status came under attack, leaving me with tremendous uncertainty. I work in the luxury jewelry sector, and do career coaching for disenfranchised women. If I could vote, I would. It's critically important to me that you vote to ensure a clean DREAM Act and other policies impacting your neighbors, colleagues, and friends. 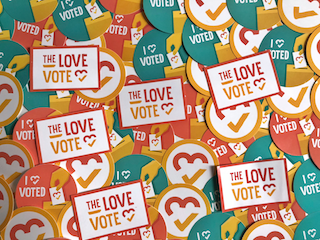 Show Tolu love + inspire others + get voting info + get event invites + get stickers + create change!